Pure, heady organic elderflower bubbly. A traditional country drink made with fresh elderflowers picked from our Devon farm in early summer. 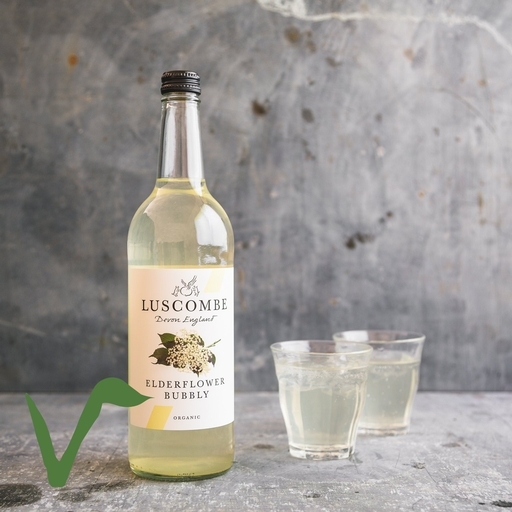 This elderflower fizz makes a brilliant non-alcoholic alternative to champagne. Good with elegant party nibbles like smoked salmon and quiche. Drop in a few berries and a twist of lemon to make a refreshing punch. Spring water*, wild elderflower infusion (raw cane sugar, spring water*, elderflowers (5%)), raw cane sugar, sicilian lemon juice, white wine vinegar, CO2*.